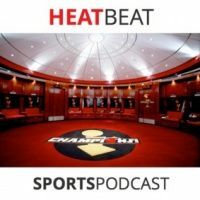 In this edition of The Heat Beat we discuss Miami's overtime loss versus Sacramento, wins over Los Angeles Lakers and Atlanta Hawks, and whether Andrew Bynum will continue his career or own his own salon. Our audio sounds immensely better, we know. You can thank Santa.